May « 2013 « Yeah, right! 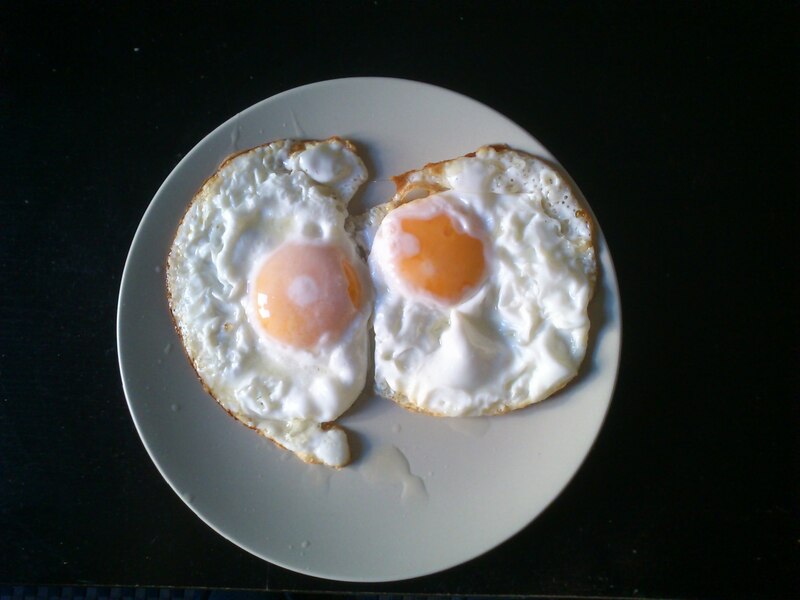 Fried Eggs. Here are two of them. A pair. Un buen par, as they say inMadrid. It never ceases to amaze me just how easy it is to make jokes with eggs inSpain. “Huevos” (eggs in Spanish) are a slang term for testicles, the equivalent in English of “balls”, and God knows their use, of the words that is, contributes plenty of mirth to the Spaniards, almost on a daily basis. Every time the word is employed, and I mean every time, even in its real sense, rare is the occasion that someone doesn’t slip across a sly comment or a furtive look. And everyone laughs as if it’s the first time they have ever heard the reference. “Oh, yeah,” returned the first in a cocky but friendly manner. “That’s all I need.” Meaning he was so manly he didn’t need two. Then we all laughed, me included. Now, this same exchange of witty remarks could have taken place five, ten, fifteen or even twenty years ago, and the results would have been the same. And from what I can tell, the jokes will go on for decades to come. Trust me, any Spaniard who sees this photo is going to think of reproductive organs before realizing that it’s just a plate of food. The culture of the “huevo” lends itself to a lot of conversation. It’s a good thing to know should you ever engage in an extended stay here. But, in addition to gonads, the dish itself is a cultural oddity. To begin with, it is rarely breakfast food, unless you are a guest at one of those hotels where they serve those meals that so enamor tourists all over the world. Even the Spanish, who normally eschew the massive calorie intake that has garnered fame for morning tables throughout the English-speaking world, have a soft spot for those acres of tables bulging with a sensuous spread of delectables. In fact, I would be willing to bet that a not-so-insignificant number pay for the room mainly with the incentive of being able to wake up the next morning and immerse themselves in one of the greatest pleasure known to man: the breakfast buffet. But limited to the restrictions of a Spanish diet in a Spanish home, don’t count on starting the day to a toast and an egg done easy over accompanied by cereal and a pot of hot coffee. Just not gonna happen. 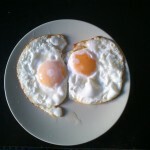 Fried eggs exist, by all means. But expect them for lunch or even dinner. My first came for supper, traditionally a light meal here. I did raise and eyebrow the first time a plate was placed before me. It was ten at night and I hadn’t quite prepared myself for the fare. I didn’t take long though. Kids love and can pretty much go them at any time. They are especially fond of them with chunks of paprika packed chorizo and bundles of oil soaked fries. Does atrocities to your system, but there is no doubt that it’s top-notch comfort food. Another surprise is how you make them. You would think that they would adhere to the basic laws of eggdom; afterall, just how many ways can you fry an egg? But, I can assure you that the technique is entirely different. First of all, they don’t do the deed with butter, but rather you fill a small frying pan with a healthy layer of olive oil. You heat up the oil and plop and egg into the middle. And while it crackles away, you take a spoon and you flick drops of the hot oil on the top of the egg so that cooks on that side. This is a very old technique. 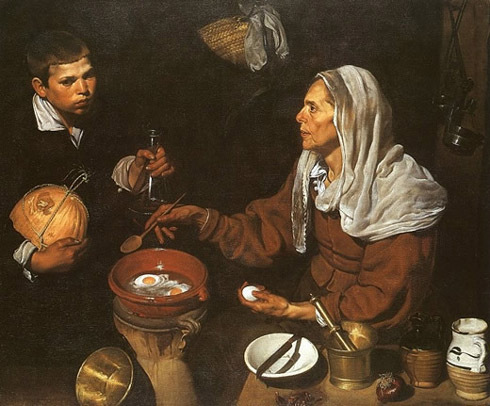 For proof, take a look at this famous painting by Velázquez. There’s the woman; and there’s the fried egg adrift in a sea of oil. The amount of liquid used to sizzle the egg has been reduced to less industrial quantities, but the essence of this Spanish technique is still true today, and it manages to extract a deliciously oily flavor which blends perfectly with the egg and a touch of salt. The slightly bitter olive oil makes a huge difference. You can reach for a loaf of baguette, rip off a chunk and poke at the yolk without fear. The rest you should pretty much know what to do. All you need is some huevos. Of course, that joke is not funny at all…unless you are Spanish. I have felt for a long time that one of the best ways to learn about another country’s culture is to acquire little by little the common knowledge known by the everyday citizen. I was tempted to say originally that knowledge that every schoolchild knows, “In 1492,Columbussailed the ocean blue” and all that; but sometimes that is a dangerous thing. Once, I read the results of a study on American high school students general understanding of general knowledge and decided I needed to be more prudent with my assertions. Consider, for example, the question “When didColumbusdiscoverAmerica?” The correct answer in the multiple-choice quiz was “Before1776”, which gave the test-taker 284-year leeway for good measure; a generous margin of error when you think about it. Even then, only 35% managed to get that one right. Two-thirds were unable to come within three centuries of the truth. I somehow doubt that things have gotten much better since then, so I will broaden my assumptions a bit. In any event, what I am referring to is the kind of knowledge that is thrown around freely and taken as fact regardless of whether or not it is true. No one disputes it, which is true of most information, and they perpetuate the word by propagating it throughout the land. They pass it on to friends and family. That’s where lore comes from. It’s where legend is born. Take inventions, for example. Being the birthplace of a particular invention can often be a source of pride. Back in America, we are taught that Edison came up with the first electric light bulb and the phonograph, to name just two, and Bell (while Scottish) had been living in America for years when he devised and patented his telephone; and let’s not forget the Wright brothers, whose fleeting departure from the earth upon a wafer-light aircraft proved once and for all that motorized flight could be achieved. Of course, all of these landmarks in technology have been debated by those who feel others were the true firsts, and we cannot leave out the scores of anonymous figures whose minor technical contributions led to the great breakthroughs. But I am not hear to talk about that; I am hear to discuss just what conventional wisdom says and what it might say about each culture. So, allow me to repeat this. Take inventions, for example. 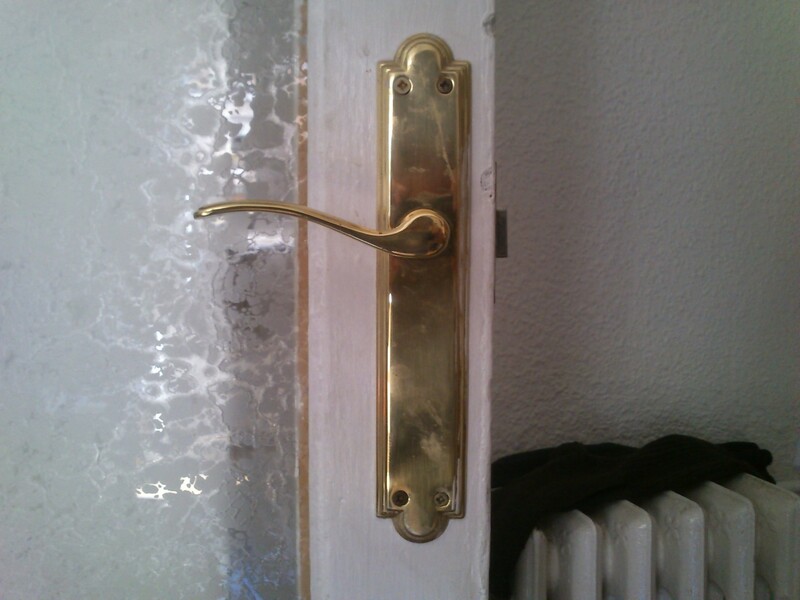 Take inventions inSpain. When asked to name any inventions that this country has produced in, say, the last two centuries, invariably 90% will come up with the following list, in any order, mind you: The submarine, the mop (fregona), and the Chupa-chups lollipop. You have to watch your step when confronted with these situations. Laughing won’t get you anywhere unless you are well-acquainted with the culture and the people you are talking to. If not, you may find them using the mop in an inventive way on your body. Even when you try to question the truth to any degree, you have to take care as to how you express it. I once mentioned to a friend from Cartegena, while in Cartegena, that the first submarine was really invented inAmericaback in the Revolutionary War. That was a crock, because the history of underwater vessels goes back at least 150 years before the Continental Army tried to employ one. But that has never prevented propaganda from getting in the way. It was a man-powered ball called The Turtle. It was meant to sink enemy ships by screwing a hole in the hull and sticking an explosive inside. The Turtle was shaped like an acorn, and possessed the maneuverability and speed of one, which explains why the endeavor failed. Nonetheless, it was an innovation in warfare that would become extremely effective once the mechanical technology allowed for it. My friend was skeptical. He deftly pointed out that the seacraft I was referring to was not motorized and therefore could not be considered a true submarine. That was where Peral came into the picture. His brainchild is considered to be the first fully-operational submarine in history. My friend had a point so there was no sense in pursing the debate, but it did make me wonder just about what constituted an invention. The first one, at least. One of the many manias of mankind is to determine a first for everything. Many times that date, name or place don’t correspond to the truth, and even sometimes we are fully aware of it. But that doesn’t stop us from spreading the myth. For example, it is now practically accepted that Hyram Bingham did not discover the Lost City of Machu Picchu. In fact, the ruins which were buried beneath the tropical brush for centuries never probably disappeared from the historical memory of the locals, who apparently knew of its existence. In the mid-1800s, a German entrepreneur attempted to make a business out of the remains, and in 1903, when the Wright brothers were lifting off the sands of theNorth Carolina beaches, another Peruvian actually engraved his name on one of the rocks as proof of arriving there first. Bingham didn’t make it there for another decade. But that doesn’t prevent the world from crediting this man with the highest honor a discoverer could have: discovery. It is undeniable that he truly appreciated the importance of the find and deserves credit for bringing it to the attention of the rest of the World. Something similar happened toColumbus. The mop is no different. The concept of a floor swab that has a pole attached to an absorbent base had been around for well over a hundred years, with many improvements being made in the Unite States in the late 19th Century, about 60 years before Manuel Joldán presented his patent inEurope. And let’s not forget that Mickey Mouse took on hundreds in the move Fantasia, so it is safe to say the objected existed. That makes sense because I had trouble imaging that half the world didn’t finally get off its knees from the kitchen floor until the time Ike was president. But then again, Swiss women didn’t receive the vote until the 1970s, so you never know. Joldán did not deny this. In fact, he got the idea from his stay in theUnited Statesas an aeronautic engineer. He saw its practicality and took it home. So he can’t get credit in tat sense. What he did do was turn the whole product into one package. The mop itself, along with the plastic bucket fitted with the meshed wringer fitted into place with which to squeeze out the dirty water. That was the innovation and quite possibly the difference. Sort of like the turtle and the Peral’s submarine. This neat and tidy design was a rage, and it is said that when Joldán and his associates sold the company in the 1980s, 60 million fregonas had been sold. Still, the fact that this goes down as one of the top three never fails to amuse me. 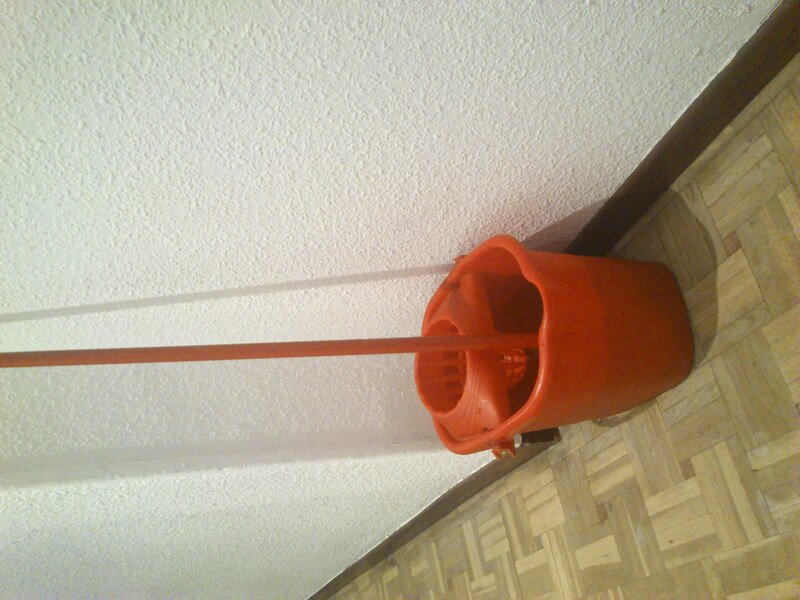 I am sure that Spaniards have come up with creations that compete with some World’s finest, but why the old mop and pail should stand out among the pack is beyond me. I admire a country who can take national pride in these kinds of objects, though. I doubt the Americans, English, Germans, French or Italians would ever admit as much. It would probably be beneath their dignity. It’s either coming up with the heliocentric theory or nothing. Something essential. But the mop is essential. 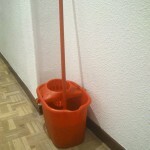 It is an essential part of every Spanish kitchen. I don’t know one without it. To use it is to be not only a part of Spanish history, but also a part of its culture. You may feel that I am trying to be particularly provocative by posting a picture like this so close Mother’s Day, but the idea was entirely coincidental. Who invented Mother’s Day anyway? When was it invented inSpain? And if so, did the Spaniards add a touch, like a motor or a set, that makes it so Spanish. I don’t know yet. It’s the day that mothers should be truly appreciated. Are they? Maybe it’s a legend or maybe it’s true. One reason light can be a help is that it allows you to contend with these little buggers. 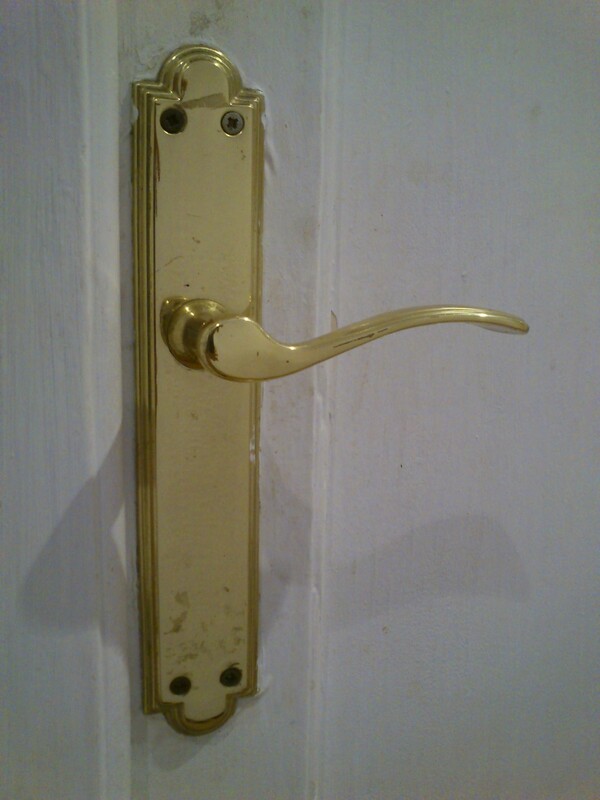 I guess we call them doorknobs, but these are more like door handles. I worked with the round versions at home as a child. They are known as pomos in Spanish. But the shape of preference in Spain is the one you can see in the image, and it is called a picaporte, which sounds word for those croutons you toss in your soup. 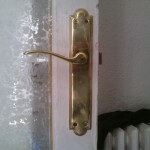 Most of you will have guessed right if you think that the main function of this contraption is to open and, when needed, close doors, windows, closets and such. When you crank them down, and hear all those crunching innerworkings going on, you really get the full enjoyment of the mechanism in motion, if such a thing as finding pleasure in that act. But you would be foolish to think that that is where their usefulness ends. Though they serve their purpose satisfactorily in their primary role, these fixed instruments seemed to have been devised with other more devious ends, and if I were to put my money on it, I would go as far as to claim that their manufacturing has been financed by the textile industry, and in particular, clothiers who specialize in button-down shirts. This is because the rounded-end hook, while seemingly harmless to the non-Abercrombie-and-Fitch-Doorman human like me who wears shirts most of the time, is actually capable of ripping an irreparable gash in the sleeve in a split-second. And, as the nature of the universe would have it, the more expensive the garment, the greater the likelihood of its being involuntarily torn into strips of rags. Here is another specimen. Facing the other direction, but equally lethal. After all of these years, it still happens from time to time. There are certain experiences I will never learn from. Then there was light. Not much, but light all the same. Any universe can start that way. Mine was daily. 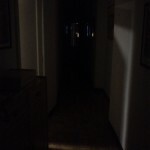 When I first came toSpain, I treated electricity with the same degree of carelessness that I held regard for when it came to any kind of utility. In fact, “utility” was the ideal word for the service. No frills, just a jolt of energy or a rush of water to keep things running in the household. Like any young American back in the 80s who had barely been exposed to the efforts of mainstream ecology, energy conservation was for geeks and Californians and not to be taken too seriously…just like geeks and Californians. Saving the Earth’s natural resources was lame, and if you had to do it, the last thing you were going to do is tell someone about it. My disregard for cutting back on consumption rattled the Post-Civil War Spanish generation. My host-family mother shadowed me around the house clicking off all those switches I would leave on when I departed from the room. 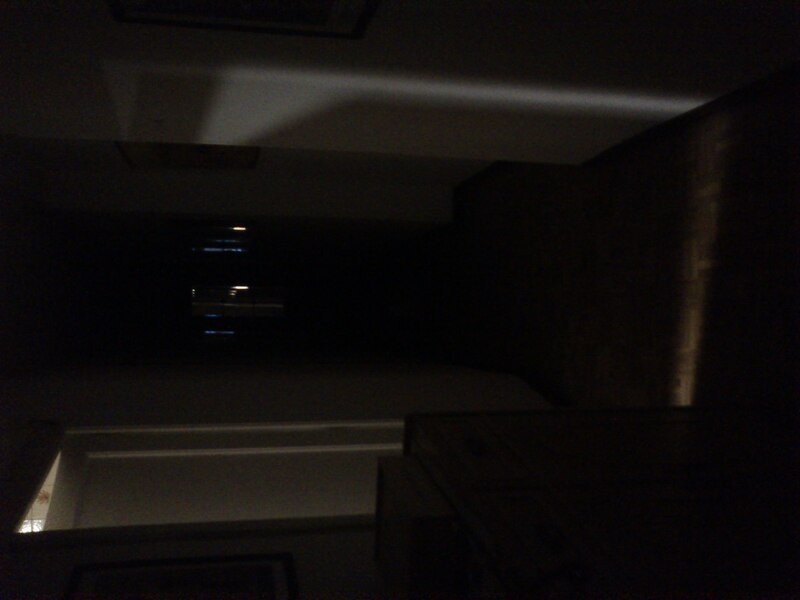 And in the morning, during the winter inMadridthe house would remain dark until nearly eight in the morning, only a brushstroke of light might erupt from the kitchen or bathroom and cast some way of finding my bearings in the hall. Back home, my brother is capable of draining national resources with just a casual flip of the switch, but here, every watt counts. Especially back then. The reason behind this was that utilities for so long were pricey as the economy tried to pull itself out of the wake of a terrible civil war and decades of isolation. That turnaround began in the 1960s, but Spanish society by that time had spawned a generation or two of very cautious consumers who had been nurtured on rationed services. That meant that even as things began to improve, few had it in them to spend freely, let alone splurge meaninglessly. That was the essence. Spending had to be meaningful and when so, sparing. 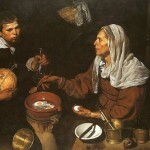 Spaniards were savers forcibly by habit, not by nature. The recent generations of spendthrifts are proof of that. There you have it. My morning walk to the bathroom to start my every day, every day.